It is estimated that around 2.5 billion disposable coffee cups are thrown away in the UK, or around 5,000 every minute. In 2017 the House of Commons Environmental Audit Committee launched an inquiry to explore the scale of the issue publishing a series of recommendations that would encourage behaviours to reduce, reuse and recycle. This included a proposal to ban disposable cups by 2023, and a so-called latte levy, a 25p charge for using a disposable cup that would mirror the carrier bag tax in order to encourage more people to carry a reusable cup. The government response suggested that no such levy would be introduced as businesses in the industry were already making efforts to try and reduce disposable cups through collaborations such as the Paper Cup Recovery and Recycling Group. It also highlighted that a target of 100% for recycling cups was not realistic, and there were already many reusable cups on offer, often with financial incentives in place from businesses. The government highlighted that it recognised the need to address issues of waste and litter and would do so as part of its 25 Year Environment Plan and Resources & Waste Strategy, but that it would be important to consider the packaging producer responsibility system and waste management system as a whole ‘in order to drive the best environmental outcomes’, rather than focus on coffee cups which are estimated to be around 0.7% of paper packaging waste in the UK. The prospect of a latte levy triggered much discussion in the media about the advantages and disadvantages of reusable coffee cups, the range of alternatives to disposable cups on offer, and the various businesses that were already providing incentives to make the switch to a reusable cup. While some of the larger coffee shops chains such as Costa Coffee introduced a 25p discount for using a reusable cup (as well as a nationwide cup recycling scheme), it was Pret A Manger that attracted significant attention for introducing a 50p discount for consumers with a reusable cup, after their CEO turned to social media to ask consumers what would encourage them to carry a reusable cup. This made their takeaway filter coffee just 49p – an attractive prospect for many consumers who have become accustomed to their coffee on the go. Many of the reusable cup companies witnessed a surge in interest with the prospect of a ‘latte levy’ being introduced, and many coffee shops witnessed a rise in use of reusable cups – although several businesses suggested this may trail off as media interest reduced over time. Research conducted by Dr Jennifer Ferreira at Coventry University has suggested that many consumers are more resistant to switching to reusable cups than they were carrier bags because of the perceived inconvenience of having to carry a dirty cup around afterwards; a current research project seeks to explore behaviours around the use of reusable cups more extensively. Despite the prospect of a ‘latte levy’ being quelled, many businesses have sought to make efforts to reduce disposable packaging, and to shift consumer behaviours. In February, Starbucks trialled a 5p charge for a disposable cup in some of its London stores. At the beginning of April, Waitrose, the supermarket chain known for its free coffee for customers who are members of its loyalty scheme, announced it will be removing all disposable cups by autumn 2018. Instead customers must use their own reusable cup, and in doing so could save more than 52 million cups a year. The head of sustainability and responsible sourcing at Waitrose said that ‘we realise this is a major change, but we believe removing all takeaway disposable cups is the right thing to do for our business and are confident the majority of customers will support the environmental benefits.’ According to the BBC, Starbucks commissioned research has suggested that around 48% of consumers would consider using a reusable cup. 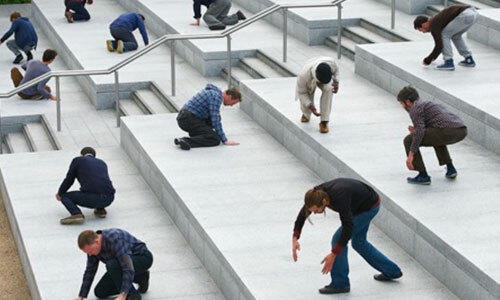 Businesses have recognised that they need to be making efforts in sustainability, not only to reach their own environmental targets, but in order to be seen to be making progress in this area to consumers, many of whom have a growing environmental awareness. 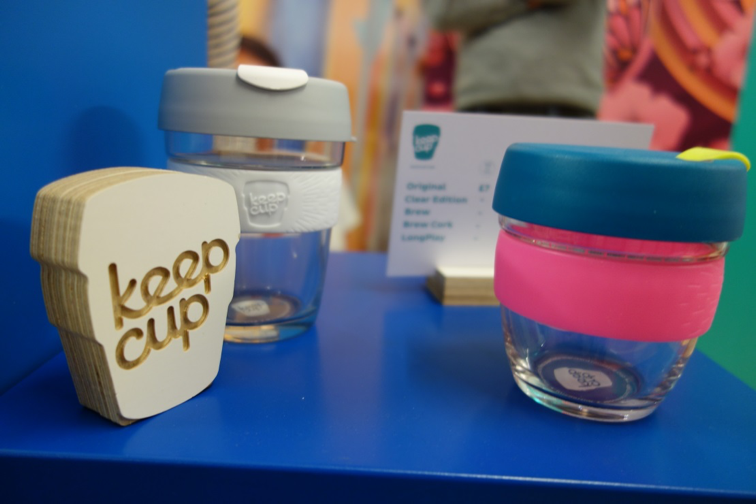 The rise in popularity of reusable cups (and more sustainable packaging options), was evident at the recent London Coffee Festival where a range of different reusable cups were on offer – KeepCup, Sol Cup, Ecoffee Cup, rCUP, Huskup and others had their own exhibits, and many coffee roasters had their own branded reusable cups too. This is in addition to other alternative packaging solutions such as biodegradable and recyclable packaging that could potentially reduce coffee cup waste reaching landfill. Collectively there was a growing presence of the issue of sustainability and waste in the coffee shop industry at this event which targeted both industry and consumers. Likewise other coffee festivals have been making moves to address the coffee cup waste issue. The Glasgow Coffee Festival, citing its interest in taking an ethical stance, has announced that its 2018 event will not be using disposable cups, but instead consumers can either bring their own reusable cup, or borrow a KeepCup on the day. The desire from businesses to consumers to increase reusable cups has been recognised by other organisations too. A new reusable packaging scheme, Cup Club has been launched in London in April, where trackable cups and can be dropped off at various points, to be washed and reused, meaning consumers do not have to carry the reusable cup around. In other countries, reusable cup sharing schemes have been introduced, albeit not with the level of technology to track their use as in CupClub. In Germany, the Freiburg Cup has been in use since 2016; consumers get a reusable cup for €1 and can return it to a number of participating stores for washing and reusing (and the deposit is returned). A similar scheme Re-Cup operates across a number of German cities. The use of reusable coffee cups, and other efforts in sustainability from the coffee shop industry in the UK and Germany is the focus of a current research project in the Centre for Business in Society. The project ‘From the grounds up: the coffee shop industry and the circular economy’ seeks to explore the extent the circular economy is evident in the coffee shop industry, the ways that businesses and consumers in the coffee shop industry engage in the circular economy, and the enablers and inhibitors for doing so. As the government highlighted in its response to the coffee cup inquiry, the issue of waste management is much broader than coffee cups, and businesses have been making adjustments to try and indicate they are making efforts in other areas too. It’s estimated that 8.5 billion plastic straws are used in the UK every year, and there have been suggestions that these could be banned in the future. Coffee shops including Costa Coffee and Pret A Manager have suggested they will introduce alternatives to plastic straws in the future, while business such as Wetherspoons, Pizza Express and Wagamama have introduced biodegradable straws. Whether regulations are introduced or not around the area of waste management for retailers such as these, it has been made clear that businesses need to make substantial efforts in reducing the amount of waste reaching landfill, and minimising their environmental footprint. The coffee shop industry has been making various efforts to address these issues, from encouraging greater reusable coffee cup use, to innovations in the use of coffee grounds to produce energy. Combined efforts from the coffee shop industry and its consumers have the potential to have a significant impact on the amount of waste and resources used, and the environmental impact the industry has today, and in the future.